ACparts was founded by Mr. Soon Huat in the year 2010. Which stand total aspirations of the customer in terms of quality, reliability, performance, price, on time delivery, efficient after sales services, economically priced quality spares & above all lowest power consumption. The main aim of ACparts to satisfy their customers with best possible services at any cost. ACparts deliver simple and Compact units, which are easy to access and maintain, easy to replace parts, very reliable & durable. ACparts also ensure highest power saving through their compressor’s effective capacity control system. We are constantly putting our total efforts to protect precious resources, to improve product quality and efficiency and to provide a sustainable future in every design decision. More than a Vision, we have a GOAL. A Goal to attain the highest quality stardards of services/ and provide Total Solution for Compressor Systems. In this endeavor, we are currently having various R & D procedures being carried out in “CCMS” “Computer Centralized Monitoring Unit” of our experience in the field of Compressor Maintenance & Services. 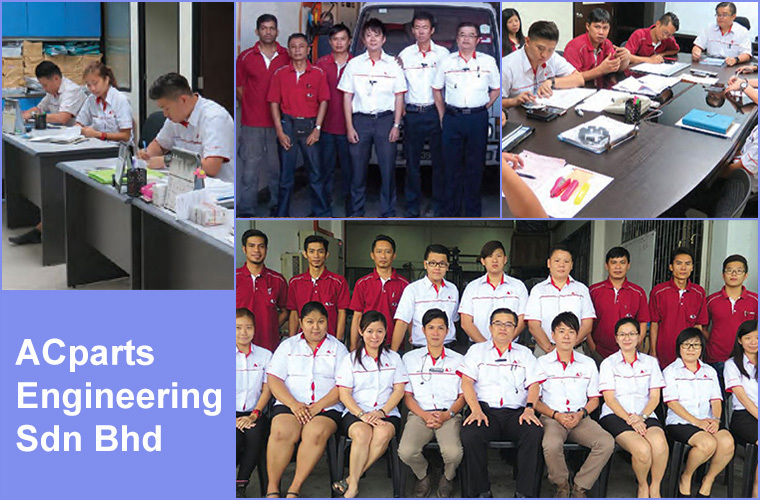 Please look forward to the future success of ACparts Engineering Sdn Bhd.